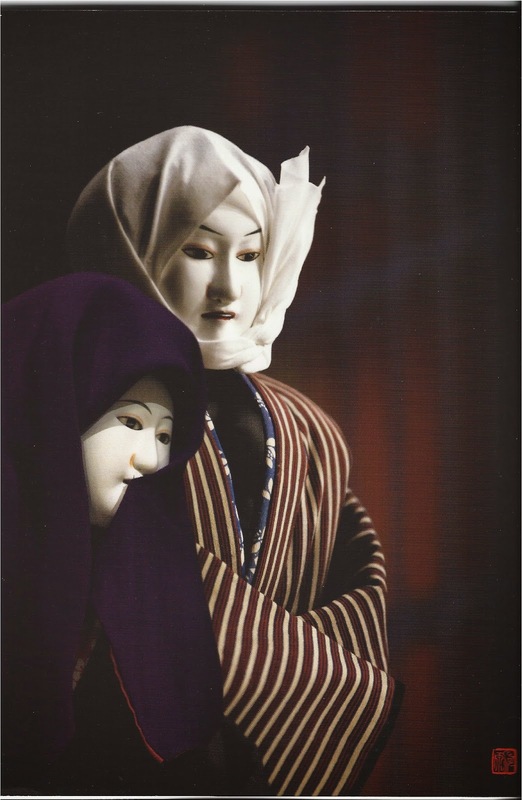 Bunraku is a traditional form of Japanese Puppet Theater. It is amazing. The puppeteers share the stage with the 3 - 4 foot tall puppets and manipulate them from behind. They are so good at this that you begin to not even see them as you are so taken by the motions and "expressions" of the puppet characters themselves. They literally come to life and you forget they are not real! We saw parts of three plays over a 4.5 hour show. 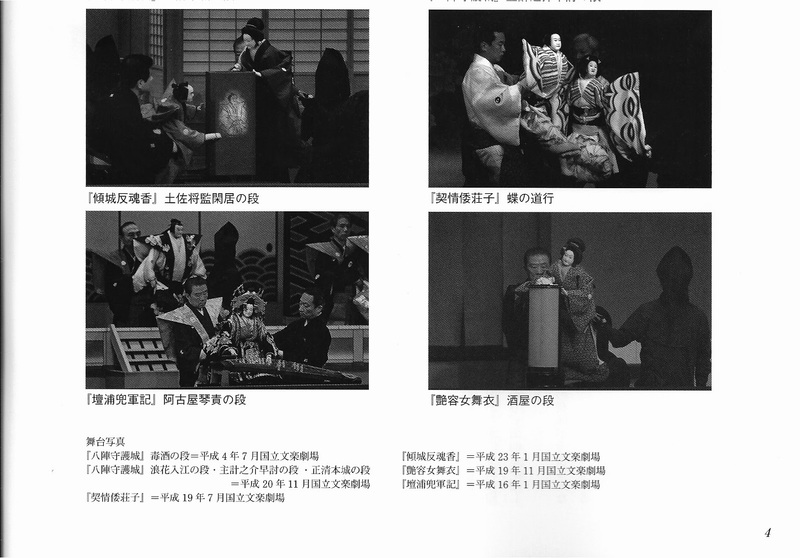 All of the photos in this post are scans from the program. Just for my musician friends and colleagues I thought I'd highlight the third play - Akoya Tortured and Interrogated by Musical Instruments. What a great title! In this play Akoya has been captured and is questioned to reveal the location of her lover who is leading a revolt against the Genji clan. Between questions she is made to play the koto, the shamisen, and the kokyu. If she does not play them flawlessly, she will be known to have lied in her answers to the questions. It is a great play. The motions of her playing the instruments were so life-like that she appeared to be a real person. A few black and white pictures. 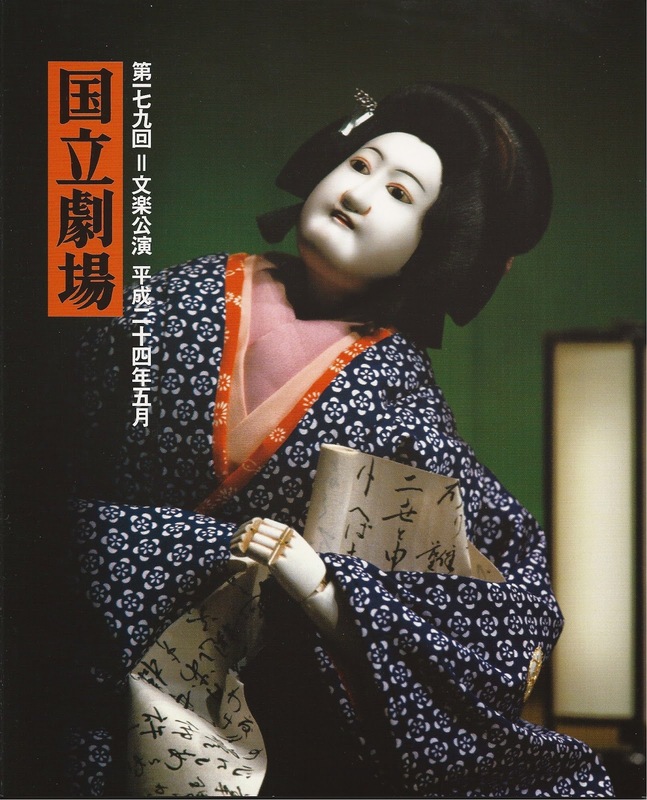 Bunraku is one of my favorite forms of traditional theater.